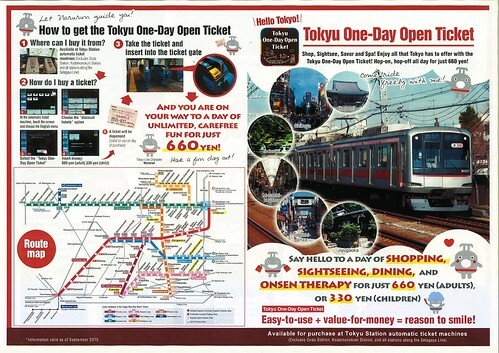 “Tokyu One-Day Open Ticket” that allows unlimited rides on Tokyu lines will be available from September 1, 2015. Tokyu’s main line, Tōyoko line connects two popular cities: Shibuya in central Tokyo and Yokohama in Kanagawa Prefecture. 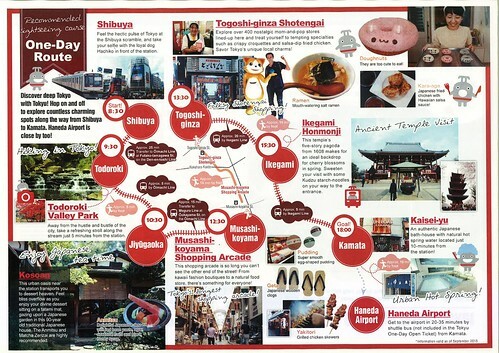 The stations along the line such as Daikan-yama, Naka-meguro, and Jiyūgaoka have also become popular tourists spots among those interested in fashion, food and other current trends in Japan. Tōyoko line, Meguro line, Den-en-toshi line, Ōimachi line, Ikegami line, Tōkyū Tamagawa line, Setagaya line, and Kodomononokuni line.